Irish-based CityJet airline will take delivery of five more Sukhoi Superjet 100 (SSJ 100) aircraft in 2017. The delivery schedule was made public after a three-party memorandum was signed by the aircraft’s OEM Sukhoi Civil Aircraft (SCAC), Russia’s VEB bank and Superjet International. The latter is Sukhoi’s joint venture with Italian Finmeccanica-Leonardo and is responsible for SSJ 100’s marketing and sales in the West. The memorandum outlines the terms and conditions under which VEB will finance delivery of the five aircraft to CityJet. The first of the five aircraft may be delivered to CityJet as early as in January next year, SCAC told Russian Aviation Insider. The remaining deliveries will spread evenly throughout the year with two aircraft in the first, and two more, in the second half of the year. 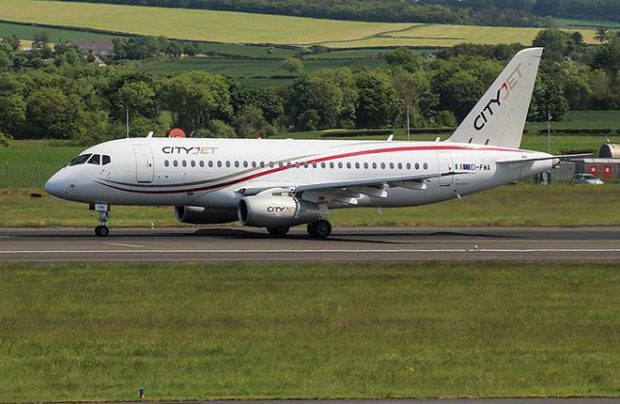 CityJet signed firm order for the total of 15 SSJ 100 and an option for 16 more. It became Europe’s first and so far the only operator of Russian-made regional jets. The first three airframes were delivered earlier this year. The airline earlier revealed that it was satisfied with SCAC’s aircraft and was considering transforming half of the option into a firm order in 2018. Half a year after CityJet started operating SSJ100, it uses the aircraft primarily for charter flights and wet-leases them to other carriers. The airline’s total fleet currently comprises 26 regional jets – three 98-seat SSJ100s, eight 88-seat Bombardier CRJ900 and 15 ageing 95-seat Avro RJ85, which it is gradually phasing out. In 2017, besides the five SSJ100s CityJet plans to take delivery of four CRJ900s.